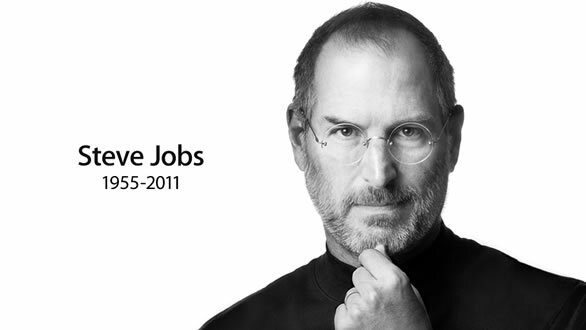 I’m sure you all have heard by now the sad news that former Apple CEO Steve Jobs passed away yesterday. I found out via Twitter (as we find out many things these days), and thought perhaps the “RIP Steve Jobs” tweets were referring to Jobs resigning from his position as CEO recently. Unfortunately, I then saw that Apple had announced his death and was shocked and saddened, along with many others. I know I can say my life has been greatly affected by Jobs’ work at Apple. I’m typing this blog entry on a Mac right now with my iPhone beside me. My MacBook is sitting on my desk at home with my different Apple chargers scattered throughout my room. Rest in peace, Steve Jobs. You have changed technology and your genius will live on. The iPad: It’s so great because…why? There it is. The infamous iPad… after reading an article about the release of the iPad 2 coming out soon, I once again started thinking about my feelings on the tablet. And honestly, I still don’t get it. I didn’t get it when it was first released, and I don’t get it now. Yes, it’s cool. Yes, the resolution of the screen looks beautiful. But to me, the iPad is simply a sort of combination of a Mac computer and the iPhone, of which I have both, so why would I want an iPad? I admit, Fruit Ninja looks much cooler on that big iPad screen than on my comparitively tiny iPhone screen, but I just don’t understand shelling out hundreds of dollars when you could purchase a full computer for a few hundred more. I will say I like the new design in white, though. Only because I’m a sucker for the way Apple makes white appliances; I think it looks clean and beautiful and I’m still wondering if the iPhone 4 will ever be released… anywho, maybe it’s just me. My aunt and uncle each have an iPad, my roommate’s 14-year-old cousin has an iPad…but I still don’t get it. I’ll just stick with my iPhone and MacBook!